Sedona Timeshare Resales has assisted over 1500 families since 1990 with the benefits of vacation ownership. Many of these families have discovered a savings of up to 70% through buying from previous owners. SEDONA TIMESHARES in our local area has earned the reputation of being THE Sedona Timeshare specialist. We have found that over 92% of these new owners chose the Arroyo Roble Resort. This resort is located on 9.3 acres in a secluded park like setting on the banks of Oak Creek just below UPTOWN SEDONA'S shops and restaurants. Arroyo Roble consists of 72 quality built 1296 sq. ft. 2 Bedroom, 2 1/2 bath fully equipped townhouses. The owners at the resort enjoy the amenities of 15,000 sq. ft. clubhouse featuring indoor/outdoor pools and spas, sauna and steam rooms, fitness center, tennis and racquetball courts. Arroyo Roble Resort is the true utopia of all of Sedona's timeshares. The resorts spacious accommodations excel above all local timeshares and the amenities here are superior to those major timeshares that are triple the cost of ownership. I own a total of nine timeshares, three here, and we NEVER trade out of this property. 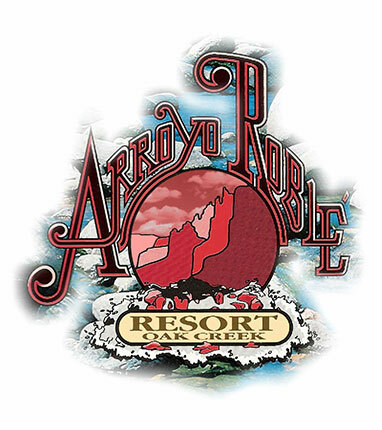 We purchased a resale unit from Arroyo Roble in 1994 and were recently at the resort. We thoroughly enjoyed Arroyo Roble, and the area, and will look forward to our next trip. We have two other weeks of timeshare in various locations and our friends with whom we frequently travel have four weeks of timeshare, this gives us up to seven weeks per year but it is always most enjoyable. We have exchanged through RCI from Florida to Texas, AZ, NM, CA, B.C., Canada, Hawaii, MN, WN, MA MI, NH, PA, etc. We bought our first timeshare weeks in 1983 and have used them every year. Since Arroyo Roble is a gold crown resort it gives us priority exchange privileges providing we bank the week with RCI well in advance of the time we want to exchange. Our exchange experiences throughout the country have led us to the conclusion that there are not better maintained and quality units anywhere in the USA than at Arroyo Roble. The price for a resale unit and Arroyo Roble is also extremely reasonable. We have heard sales pitches on units all over the country which range from 12,000 to 16,000 per week. With the flex time offered by Arroyo Roble, the best deal is always who wants to sell at the lowest price this is not true with fixed time condo sales, red, white and blue time etc. If anyone is interested in time share week/s they cannot go wrong on buying a timeshare week from you at the resale price this is a REAL BARGAIN! If we needed additional weeks we would by buying from you again. As you know this is not a requested testimonial, we just felt that something like this might be helpful in your sales work at Arroyo Roble. We found the resort to be among the best in the USA and want others to know this. I would be surprised if I will EVER be more pleased with a timeshare exchange, but I'm rating Arroyo Roble a 9.5 to give myself some leeway just in case. Arroyo Roble is the perfect jumping-off location for everything in the Sedona area. We were sad to leave the Arroyo Roble and will definitely put in for another exchange in the future. The Arroyo Roble Resort is Sedona's best kept Secret. The quality and up keep are unsurpassed! © 2018, Sedona Timeshare Resales. All Rights Reserved.